The Highway Department oversees the repair and maintenance of all town-maintained roads, including mowing, ditching, drainage and road signs. 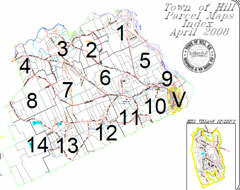 By law, the town can not expend town money on any private or Class-VI roads. These roads are maintained by individual landowners or through a homeowner’s agreement. The Highway Department coordinates and completes the plowing of all town-maintained roads, which is overseen by the road agent. The Department also oversees the operation of the Transfer Station.